2. Fleece sorted into ten separate colours, drumcarded and dizzed off into rovings. 1. VERY bright space-dyed faux cashmere! 6. 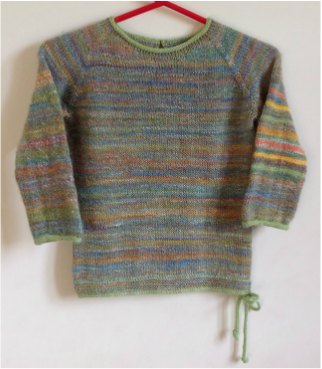 Small amounts of kettle-dyed faux cashmere, blended with ingeo corn and spun into 3-ply yarn for the stripes in the sweater.